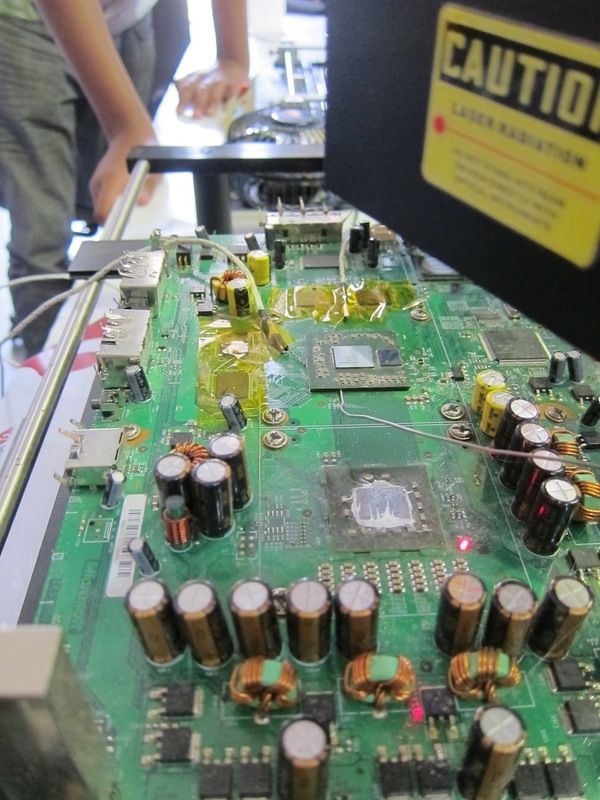  Sector67 recently hosted an Xbox rework and BGA chip soldering class. 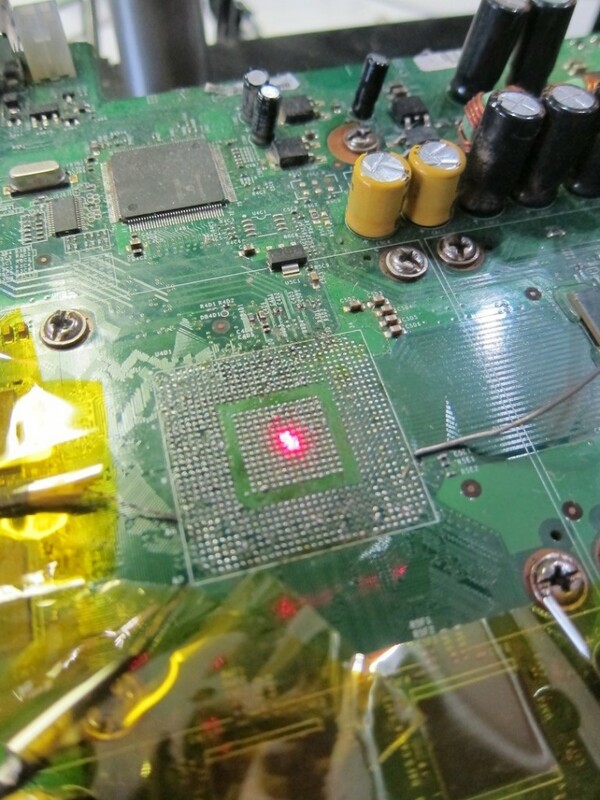 In Xbox 360s, the infamous “red ring of death” is often the result of a soldering failure by BGA-mounted graphics card. 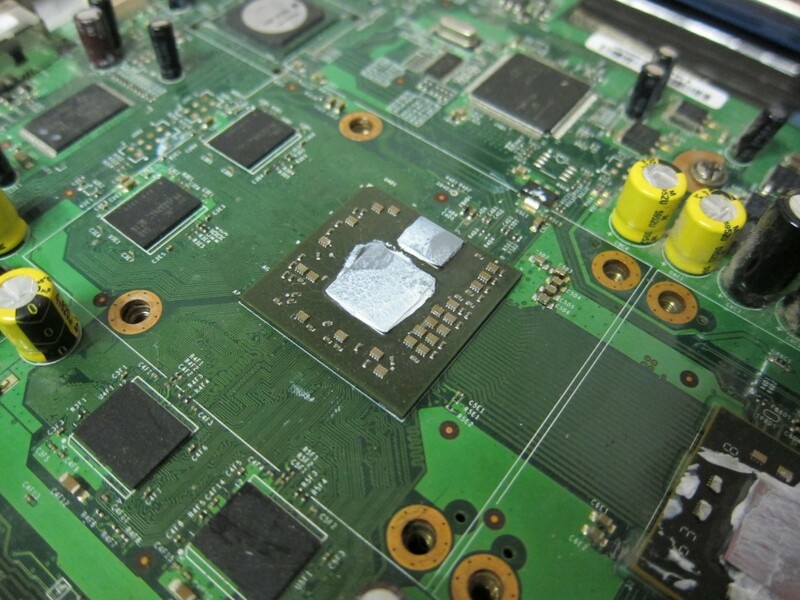 Xbox graphics card mounted on a BGA. 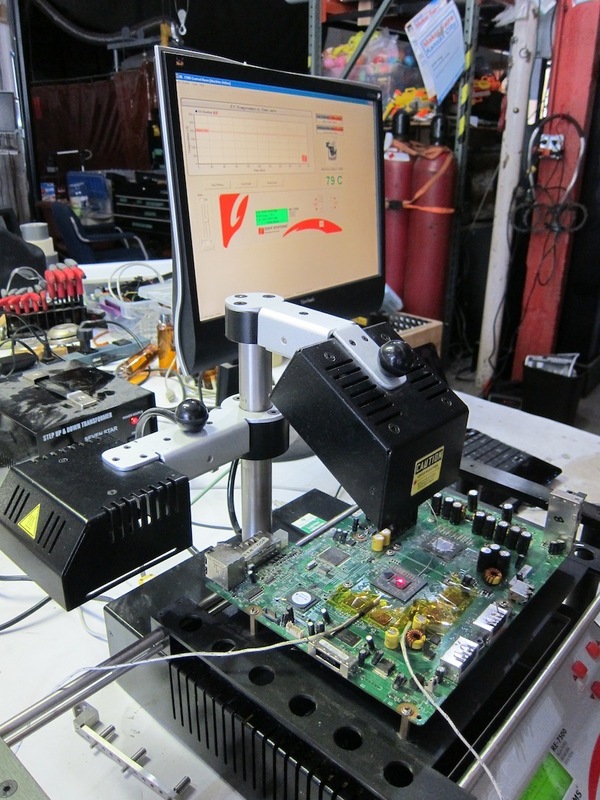 Soldering a BGA is tricky business and cannot be done by hand, instead calling for the precision of a temperature controlled soldering machine. 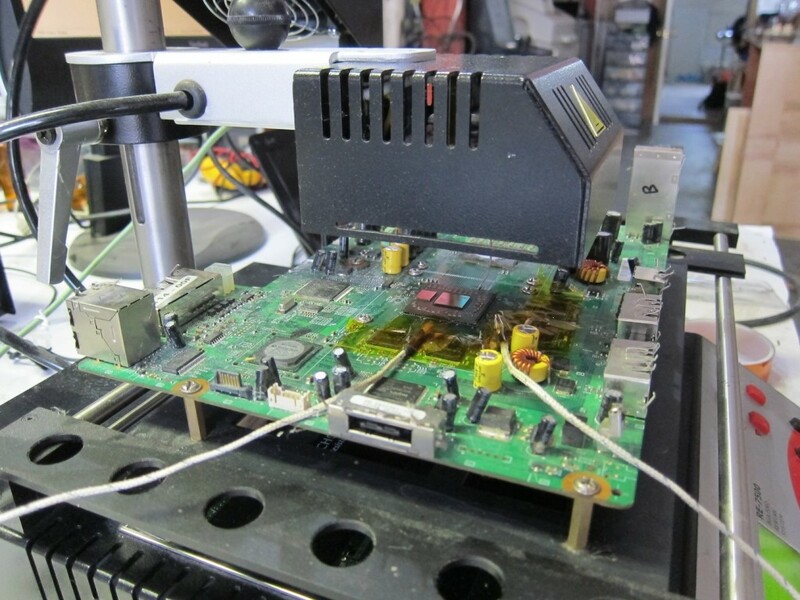 The infrared BGA rework station for soldering is a Jovy Systems RE-7500 model. 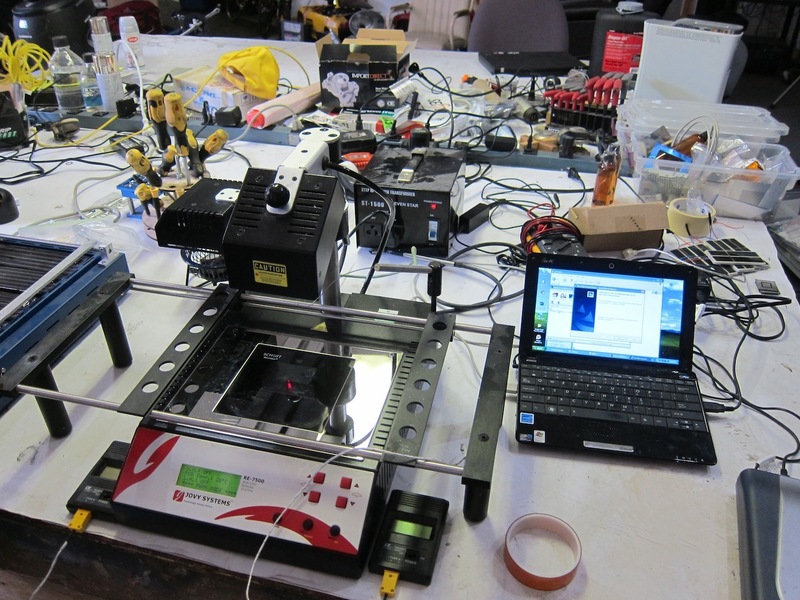 The wires held down by the yellow tape are thermocouples monitoring the temperature. 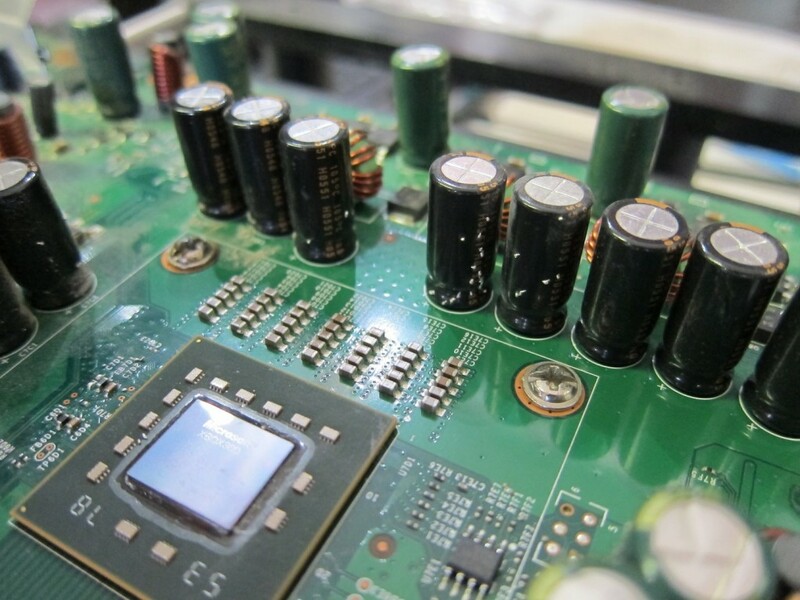 See those white specks? 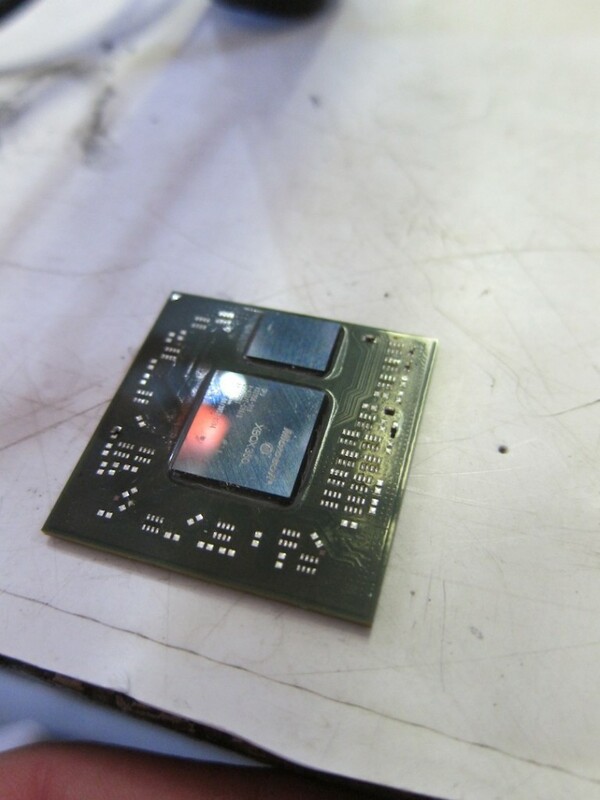 One of the graphics chips was dropped and splattered everywhere. 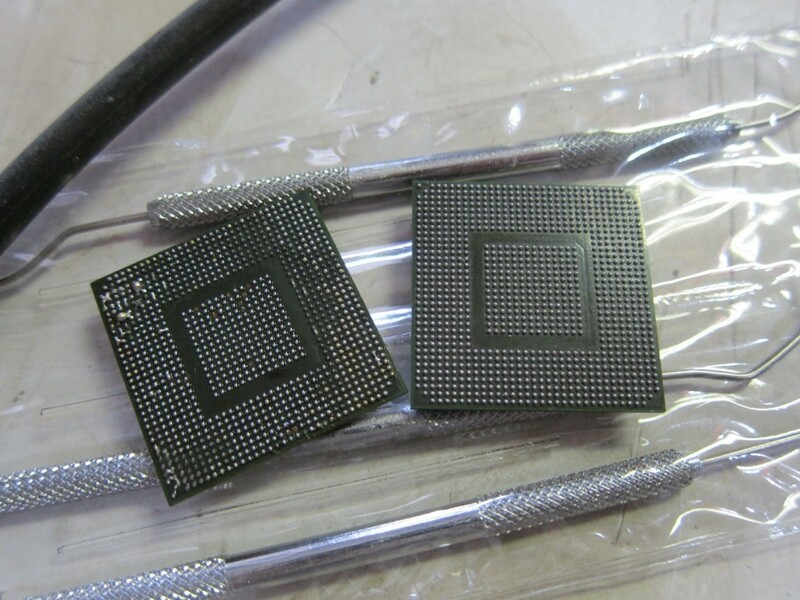 And here is a successful soldering of the BGA chip.